Lesser Periwinkle. 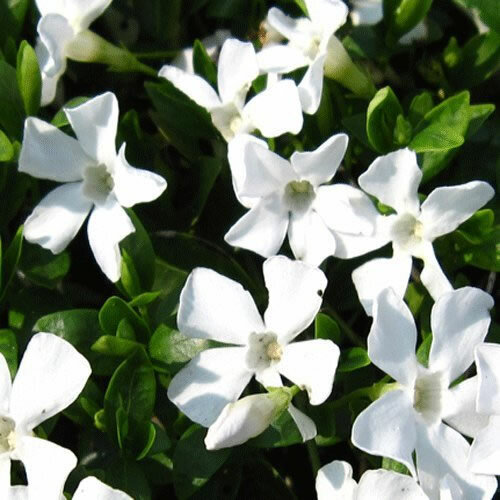 A compact mat-forming evergreen shrub with trailing stems of dark green leaves. White flowers produced from mid-spring to autumn. Height 10-20cm. Spread Indefinite. Flower colour White. Flowers from April to September. Evergreen. Foliage colour Green. Hardy. Planting instructions Water thoroughly before planting.